The process took just few minutes and was very easy. I do recommend trying this if you want a cloud based Redmine without much effort. This is an oustanding instance. From a starting position of just an objective, we had a Redmine implementation working and tuned to our organisational requirements in under 2 hours. 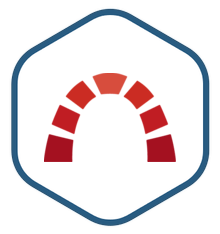 The Redmine by Bitnami is a very easy product for a Linux Redmine instalation. It's stable and there are a lot of documentation for the product's administration. Redmine met all the requirements for deployment to multiple clients, it has always met will a small consulting to medium / large sized companies. I was very pleased with the previous Bitnami Redmine stack from 3 years ago. I was apprehensive about upgrading. The new stack has more functionality and installed without issues. The Redmine and Subversion migration went well on the first try. Bitnami and other internet resources were very helpful with each step of the process. Nice job Bitnami! All is nice as usually. HTTPS is now already configured only by repacing original server.crt and server.key in apache folder. Only trouble is an awful bitnami banner, that appering in redmine welcome page and no documentation how to quickly deactivate it. easy work and useful! thanks for the AMI! I just click and wait few minutes, my redmine system is ready for use! It was super easy to set it up. Just a few clicks and the instance was launched. There was a bit of confusion about the key pair, but once I followed the instructions to create one, it was a no-brainer. One thing to note - the default user name is … "user" doh! I had to hunt for this a bit, as the instructions, while they show where to find the password, they don't say what is the actual user name. And don't worry, you can change all of it once you log in. I have tried to set up multiple project/issue tracking systems in the past and not one of them have gone as per I fully expected. I just installed this, it was a cinch, will wait to see how the rest of the operations go. I want to use redmine. Bitnami is very easy and useful.